What is Act 166 and how will it impact me? Act 166, signed into law in 2014, provides for universal access to publicly funded prekindergarten education. This law will go into full effect in September of 2016. Act 166 provides 10 hours of publicly funded prekindergarten to three and four year old children beginning in the fall of 2016. Act 166 provides young children in Vermont with opportunities to reach their full growth and developmental potential through voluntary universal access to high quality prekindergarten education. Is my child eligible for 10 hours of publicly funded PreK in the fall of 2016? In the Southwest Vermont Supervisory Union, children must be at least three years old on or before August 31st of 2016 to enroll in Prekindergarten for the 2016-17 school year. Children, who are 3, 4, or 5 years old by August 31st, and not enrolled in Kindergarten, are eligible for publicly funded pre K.
When should I enroll my child in prekindergarten to begin in the fall of 2016? Enrollment occurs on a rolling basis, so please begin the enrollment process now to ensure the greatest opportunity for your child. Students are enrolled on a first come, first served basis once a completed enrollment packet is received. How can I enroll my child in Pre K? 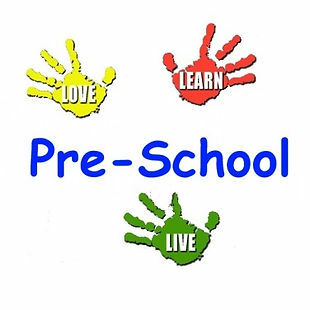 Please call the early education program office at (802)447-8419 to receive an enrollment packet. Or, you may find the SVSU Early Education enrollment documents online. Once the early education program has received a complete packet, your child will be enrolled in the school district, and parents can select the program that best suits their child’s needs. Parents who select prequalified programs outside of the school will have to enroll both with the program/provider and with the SVSU. Is my child guaranteed a placement in prekindergarten in 2016 as long as he/she is 3 years old by August 31st? No. If the interest in prekindergarten programs exceeds the capacity of providers to serve eligible children, children will be accepted on a first come, first served basis. Parents are advised to complete an SVSU enrollment packet and identify the prekindergarten program that they would like to attend in the spring of 2016 to ensure access to prekindergarten, and to allow the greatest amount of choice in prekindergarten programs. If the demand for Pre K exceeds the region’s capacity to serve, the Supervisory Union will work with the regional Building Bright Futures to expand the region’s capacity to serve children in high quality early education environments. How can attending Pre K benefit my child? Are all regional early childhood centers approved to provide publicly funded Pre K in the SVSU District? Pre K partners currently approved to provide universal prekindergarten in the SVSU region are found on our website at Public PreK Partners or in our SVSU early education program brochure. Do parents have a choice regarding what program is best for their child to attend Pre K? Yes. Please open this document to see the approved Pre-kindergarten providers to view all of the SVSU approved Pre-kindergarten programs in our region.